Manchester United are going through an injury crisis. There’s no way to call things in any other way. Jesse Lingard, Juan Mata and Ander Herrera were all substituted in the first half of Sunday’s scoreless draw against Liverpool due to hamstring injuries. To make things even more complicated, Marcus Rashford was forced to play the full game despite suffering an ankle problem early in the first half. 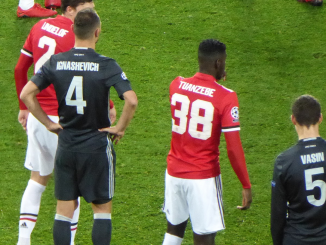 Nemanja Matic is also set for a spell on the sidelines having picked up an injury last week – missing the clash with the Reds – and Anthony Martial still absent with a groin problem, Solskjaer is in the midst of something of an injury crisis. Ole Gunnar Solskjaer will be forced to find solutions, and soon. 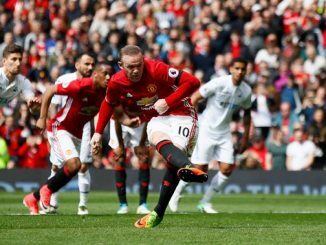 Let’s remember The Red Devils play twice during this upcoming week, and they fell out of the Top 4 following the draw against Liverpool. Therefore, the team must try to get positive results as soon as possible. By far, the midfield zone seems to be the most affected one. The absences of both Matic and Herrera could create a huge gap in the centre of the pitch. Scott McTominay, who had an impressive performance against The Reds, might get more playing time following his stellar outing. And another alternative could be Andreas Pereira. He might not be very good defensively, but he could form an excellent pairing as a creative force next to Paul Pogba behind the attacking line. Speaking of the attack, there are issues upfront as well. With four attackers nursing injuries – Mata, Lingard, Martial and Rashford – it’s time two players step it up. We’re talking about Alexis Sanchez and Romelu Lukaku. Both the Chilean and the Belgian have struggled this term. But United’s pile of injuries could result in them having yet another chance. Will they take advantage of it? For what is worth, United remain favourites to secure the three points at Selhurst Park despite their absences. United need depth, though. And with that in mind, there’s a chance both Tahith Chong and Angel Gomes end up featuring at Selhurst Park later this week. Striker Mason Greenwood, who Solskjaer is keen to get involved in first-team duties, is currently injured but could get his chance sooner than later. One thing is clear, though. This has happened at the worst time for The Red Devils. Can they bounce back despite their lack of depth in the upcoming matches? 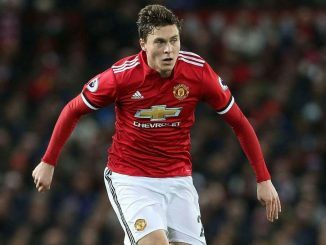 Victor Lindelof: Living Up To Expectations In His Second Season With Manchester United?